Benefits: A rich spice oil with pain-relieving properties. It is used for the temporary relief of toothaches. It is used as an analgesic (pain reliever) in traditional aromatherapy. Eugenol (the active consitituent) may suppress some forms of Detrimental Bacteria, detrimental Fungi (including Aspergillus flavus), may kill Herpes Simplex Viruses. It aids in digestions, with its antimicrobial properties, controls diabetes, preserves bone quality and contains anti-mutagenic properties. It protects the liver and boosts the immune system. The minerals in cloves includes calcium, iron, magnesium, phosphorous, potassium, sodium, and zinc. The vitamins found in cloves include vitamin C, thiamin, riboflavin, niacin, folate, vitamin B6, vitamin B12, vitamin A, vitamin E, vitamin D, and vitamin K.
It has also been recommended for scavenging Superoxide Free Radicals, alleviate pain, applied topically to alleviate toothache and may kill the mite that causes Scabies (Sarcoptes scabiei). Antibacterial Properties: Cloves have been tested for their antibacterial properties against a number of human pathogens. The extracts of cloves were potent enough to kill those pathogens. Clove extracts are also effective against the specific bacteria that spreads cholera. Chemo-Preventive Properties: Cloves are of interest to the medical community due to their chemo-preventive or anti-carcinogenic properties. It has been shown that cloves are helpful in controlling lung cancer in its early stages. Liver Protection: Cloves contain high amounts of antioxidants, which are ideal for protecting the organs from the effects of free radicals, especially the liver. Metabolism in the long run, increases free radical production and lipid profile, while decreasing the antioxidants in the liver. Clove extracts are helpful in counteracting those effects with its hepatoprotective properties. Diabetes Control: Cloves have been used in many traditional remedies for a number of diseases. One such disease is diabetes. In patients suffering from diabetes, the amount of insulin produced by the body is not sufficient or insulin is not produced at all. Studies have revealed that extracts from cloves imitate insulin in certain ways and help in controlling blood sugar levels. Bone Preservation: The hydro-alcoholic extracts of cloves include phenolic compounds such as eugenol and its derivatives, such as flavones, isoflavones and flavonoids. These extracts have been particularly helpful in preserving bone density and the mineral content of bone, as well as increasing tensile strength of bones in cases of osteoporosis. Anti-Mutagenic Properties: Mutagens are those chemicals that change the genetic makeup of the DNA by causing mutations. 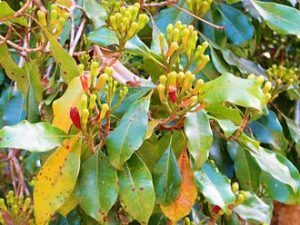 Biochemical compounds found in cloves, like phenylpropanoids, possess anti-mutagenic properties. These were administered on cells treated with mutagens and they were able to control the mutagenic effects to a significant rate. Boosts the Immune System: Ayurveda describes certain plants to be effective in developing and protecting the immune system. One such plant is clove. The dried flower bud of clove contains compounds that help in improving the immune system by increasing the white blood cell count, thereby improving delayed type hypersensitivity. Anti-Inflammatory Properties: Cloves possess anti-inflammatory and pain-killing properties. Some studies on clove extracts being administered in lab rats suggest that the presence of eugenol reduced the inflammation caused by edema. It was also confirmed that eugenol has the ability to reduce pain by stimulating pain receptors. Assists in Oral Diseases: Cloves can be taken for gum diseases like gingivitis and periodontitis. Clove bud extracts significantly controlled the growth of oral pathogens, which are responsible for various oral diseases. Cloves can also be used for toothaches due to their pain-killing properties. Aphrodisiac Properties: Spices such as clove and nutmeg have been said to possess aphrodisiac properties, according to Unani medicine. Experiments on clove and nutmeg extracts were tested against standard drugs administered for that reason and both clove and nutmeg showed positive results. Active Constituents: Volatile Oil contained in Clove Oil is the highest source of Eugenol (which comprises approximately 70.9% of Clove Oil). Some of them include: flavonoids, hexane, methylene chloride, ethanol, thymol, eugenol, and benzene. These biochemicals have been reported to possess various properties, including antioxidant, hepato-protective, anti-microbial, and anti-inflammatory properties. Contraindications: Clove oils must not be used directly; instead they must be diluted either in olive oil or in distilled water. Clove extract oil is generally considered to be safe, but certain studies have revealed that they possess cytotoxic properties. There are two major components present in clove extract oil, eugenol and B-caryophyllene. These compounds were particularly effective against fibroblasts and endothelial cells.